On September 24, 2018, Apple released macOS Mojave 10.14. This operating system update includes a new security feature called Full Disk Access which blocks third party applications from accessing certain file paths and may prevent Carbonite from backing up or restoring your files. 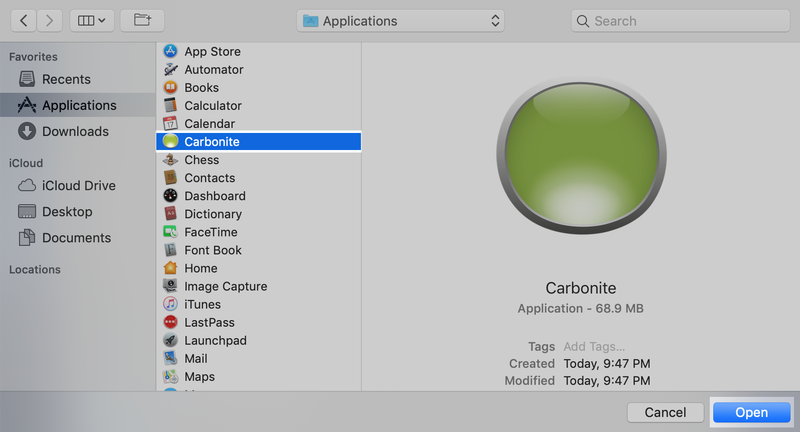 If you do not take action, Carbonite will continue to backup Home user files (such as your desktop, documents, music, and downloads), but you will be unable to select Apple Mail, Photos, Calendar, Contacts, Messages, and Safari bookmarks. In order to select these files for backup, you are required to add the Carbonite Application to Full Disk Access and restart your computer. Full Disk Access should also be configured for restores. Click on the Apple icon at the top-left corner of the screen and select System Preferences. 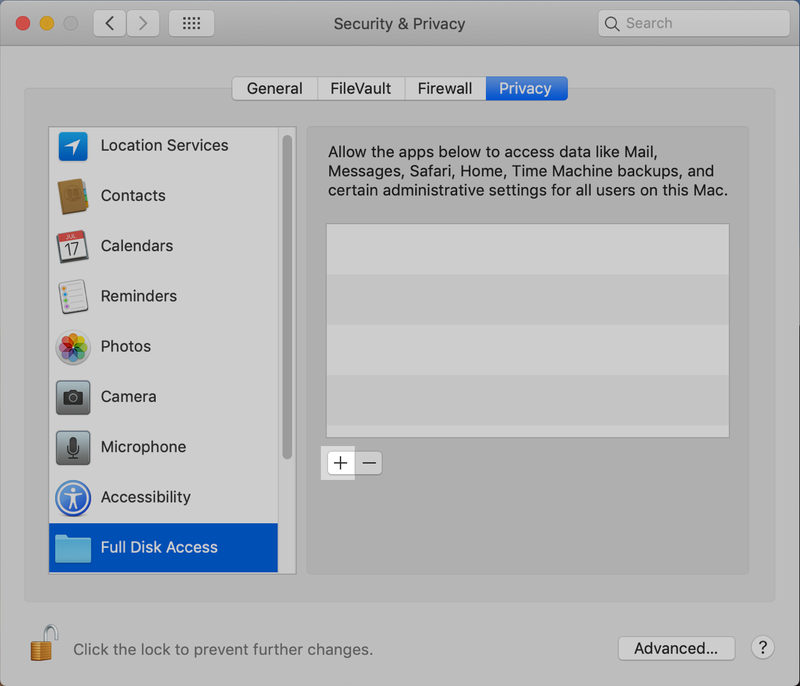 Within the System Preferences window, click on Security & Privacy. 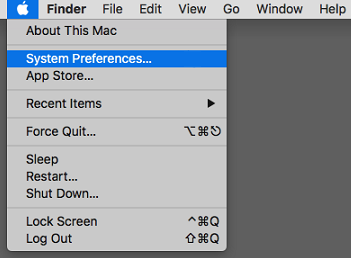 If you don’t see this option, click to get back to the main System Preferences screen. From the Privacy tab, select Full Disk Access. 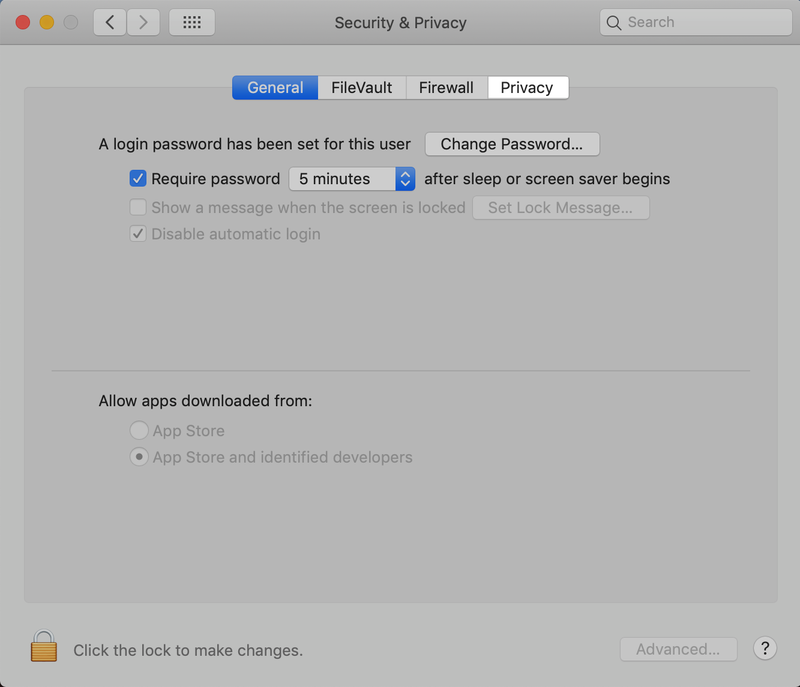 If needed, click the padlock icon and enter you Mac’s username and password (not your Apple ID or Carbonite password) to allow changes. Click on the ‘+’ button to the right of the highlighted Full Disk Access. 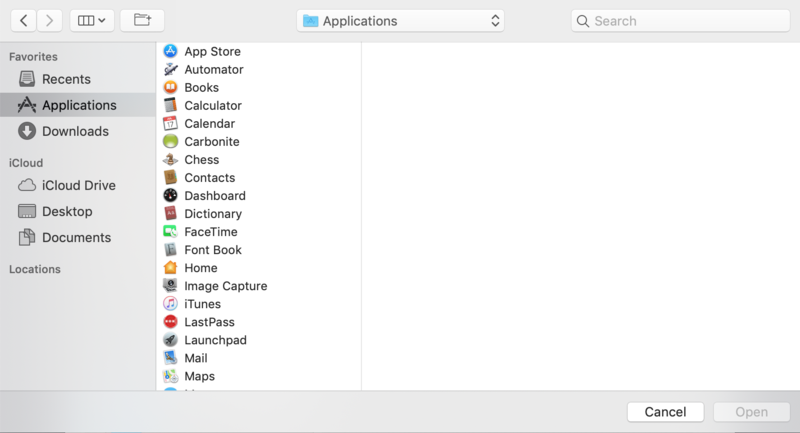 Select Applications from the side menu. If you do not see Applications on the side menu, click the dropdown menu and select Macintosh HD. Select Carbonite, and click Open. Click the padlock icon to prevent further changes to Full Disk Access. 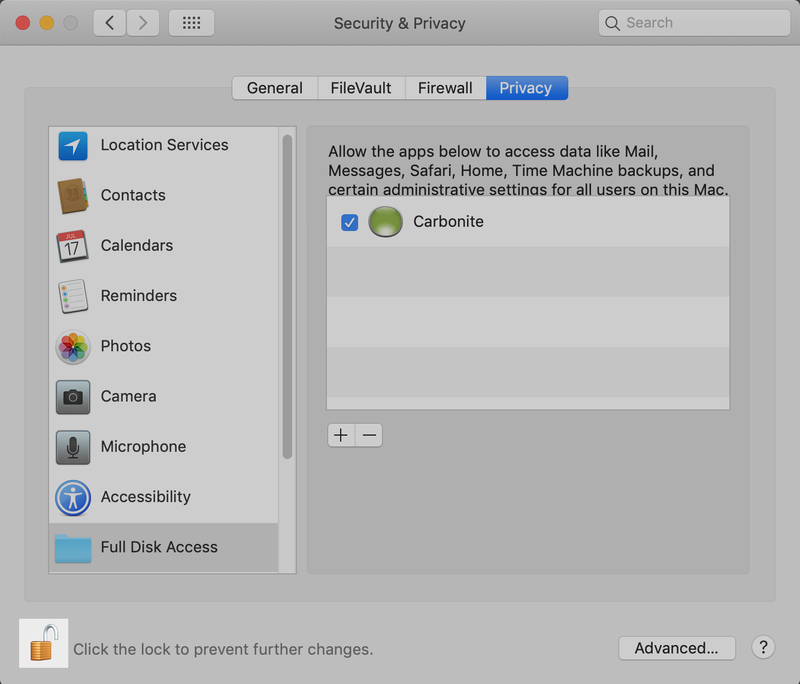 Full Disk Access has been successfully configured for Carbonite if Carbonite appears in the window, similar to above. Carbonite will now resume backing up your files as normal.